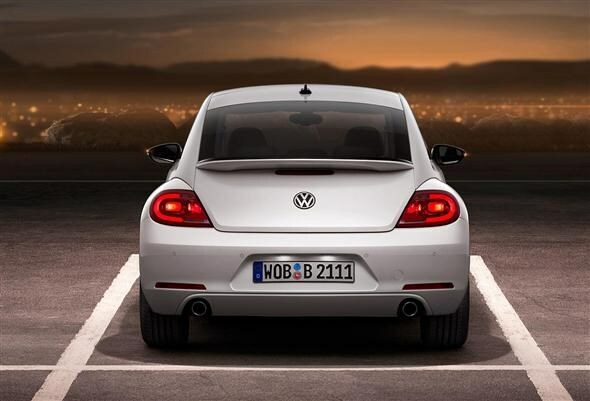 Volkswagen has revealed the new Beetle model and it's more nip and tuck rather than revolutionary. The manufacturer claims the car is all-new, but you wouldn't know it on first appearances. This version draws more inspiration from the original, according to the company, and has a more 'masculine and dynamic appearance' to the model that appeared back in 1998. Look a little closer and there have been some changes. The car has increased in length, by 152mm to 4,278mm, making it about the same size as the latest Vauxhall Astra. It's also 84mm wider than the previous generation. This added size will hopefully mean rear passengers get some extra room. The expansion continues to the bootspace, which now offers a useful 310 litres of space compared to the predecessor that had a measly 209 litres available. Practicality is also aided by a split-fold rear seat. There will be four engines available for UK customers. Buyers can choose from three petrol engines starting with a 1.2-litre TSI that produces 104bhp, followed by a 1.4-litre TSI version with 158bhp and a range-topping 2.0-litre TSI making 197bhp. The sole diesel choice in the line-up is a 1.6-litre 104bhp version with BlueMotion Technology. This includes stop/start and a battery regeneration system, with VW claiming that the diesel could achieve 66mpg. Emissions are estimated at 112g/km of CO2 meaning an annual tax bill of £30. Customers can choose between three trim levels - called Beetle, Design and Sport. The list of optional equipment is as you'd expect with keyless entry, sat nav, panoramic sunroof and bi-xenon and LED daytime running lights. 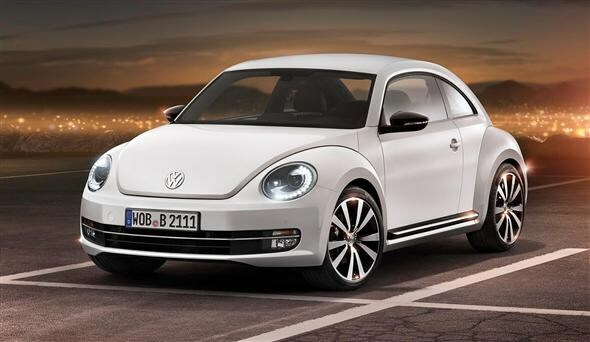 Potential buyers in the UK can start ordering the Beetle in the summer, while deliveries will begin in early 2012. Prices are expected to start at around £14,000 (est).